The Karmel-Woodward Park Civic Association serves over 1,100 homes in the subdivisions of KarMel Village, Morse Manor and Woodward Park. We are located north of Morse Road, south of Woodward Memorial Park, east of I-71 and west of Karl Road in the heart of Northland. The subdivisions offer a variety of quality homes built in the 1960s and 1970s along mature tree lined streets. The area hosts Woodward Park Shopping Center, Milano’s Center, Valley Forge Elementary School, Woodward Park Middle School, St. Anthony Catholic Church & Elementary School, Northland Swim Club Community Pool, and easy walking access to Woodward Nature Preserve and Park and Woodward Recreation Center. The park offers walking paths & nature trails, tennis courts, shelter house, playground, basketball courts, baseball diamonds, and soccer fields. 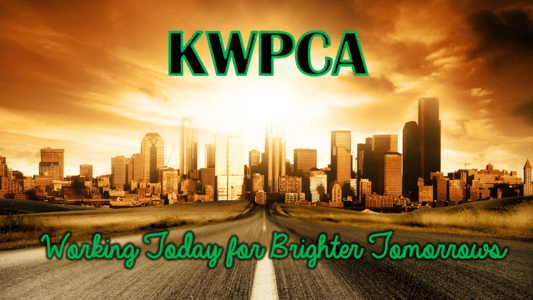 KWPCA’s mission is to improve the quality of life through cooperation. We hold monthly meetings, both social and informational, and deliver a monthly newsletter to get timely local information to our residents. We have an established, informational Block Watch program. Karmel-Woodward Park Civic Association continues to work with local city government to make our community a great place for families to live, work, and play. Bill is a multi-term President of the Karmel-Woodward Park Civic Association which represents 1100 families just south of Woodward Park. He is the Graphics and Code Coordinator for the Northland Community Council’s Code Task Force, a position that he has held since its inception in 2010. In 2013 Bill was elected Vice-Chair of the Northland Community Council’s Development Committee. He serves on the board of the Northland Alliance and as a member of the SR-161 Task Force. He is also a regular at the Northland Area Block Watch Coordinator’s meetings. Bill is a licensed Ohio Architect, certified Lighting Consultant, and the Principal of two Columbus based companies – Architectural Design and Consulting Services and WRL Lighting Tech. In his spare time, he is an avid garden railroader and narrow gauge rail historian with a number of publications to his credit. Bill and his wife Karen are both long time Northland residents and Ohio State University alumni.